With my first WIGCOT officially in the books, I want to thank you for such a warm welcome. I hope you enjoyed this year’s conference as much as I did! I look forward to building on the conversations, relationships and energy that came from our three days together in Wisconsin Dells. During WIGCOT, I presented a challenge: Travel somewhere in our state you have never been and explore that destination with the curiosity of a new visitor. Then, send us a postcard telling us what you saw, learned and loved about your trip. We’re calling it the Wisconsin Curiosity Challenge because there are so many treasures in our state that deserve to be visited – and because you can be a tourist too! 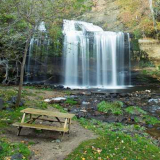 On my bucket list is a visit to every state park in Wisconsin. During your visit, tag your social media posts with #curiouswi so we can all see the amazing places we’re exploring. We continue to make strides in our strategic planning process. Our planning team is working to ensure everyone has the opportunity to share their input. Our goal is that surveys will be completed by tourism industry stakeholders, the Governor’s Council on Tourism and Department of Tourism staff. By the end of the process, we estimate that nearly 12,000 individuals will have had a chance to weigh in! We are working with Coraggio, a well-established organization that has led similar strategic planning processes for states like Minnesota, Oregon, and Colorado. We look forward to building a strategic plan that aligns stakeholders behind one shared vision and execute a forward-thinking strategy. We also look ahead to the state budget hearings taking place this month. This is your opportunity to advocate for Wisconsin tourism. As the state’s third largest industry, we have a lot to gain from the proposed $5 million increase in tourism marketing and the creation of the Office of Outdoor Recreation. I look forward to promoting Wisconsin’s tourism economy and the role you’ve played in getting us to where we are today. We are excited to welcome Amy Steger to the department. Amy’s first day as Creative Marketing Manager was at WIGCOT. She is responsible for maintaining our high standards of brand excellence by supervising the Creative Services Section of the Marketing & Advertising Bureau. Amy most recently worked at the Wisconsin Restaurant Association and Greenleaf Media in varying roles, including Creative Marketing Manager and Communications Manager positions. Get ready for a Free Fun Weekend! 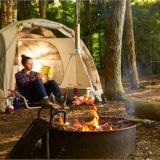 On June 2-3, residents and visitors alike can enjoy free entry to state parks and forests, free fishing and free access to trails anywhere in Wisconsin. Free Fun Weekend is just one more way to participate in #OutWiGo, a statewide initiative encouraging everyone to improve their overall health and wellness by getting out and active in the outdoors. Learn more about #OutWiGo here. The votes are in! Eagle River Sports Arena, known by locals as “The Dome,” took the second spot in Kraft Hockeyville USA 2019. The national contest celebrates the communities that cultivate the passion and spirit of hockey in the United States. As the runner-up, Eagle River will receive $30,000 in rink upgrades for their historic arena, which is also home to Wisconsin’s Hockey Hall of Fame. Congrats! Meet Matt Scott – a UW-Whitewater alum, Paralympic gold medalist and frequent visitor to Wisconsin. We’ve tapped into Matt’s energy and enthusiasm to show that there’s a million ways to have fun in Wisconsin and no reason not to. This campaign runs through April with TV, social and digital banners. For more information on this campaign check out our campaign assets page here.